"An IDE with everything necessary for the development of large applications"
Some functions can be somewhat confusing but the solution is given by the same team through a video demonstration of its main features. I recommend Cloud9 because it is very easy to use and has everything you need to work in a much more fluid and simple anywhere thanks to your server is in the cloud, which is why it is ideal for the development of numerous applications. Cloud9 fits perfectly with our company because it provides everything necessary to start any project in the simplest and easiest way because it allows you to write code in any language without having to install something on our computers and work from anywhere in the office or from home and the best thing is that defining resources is much easier as well as sharing our code among our colleagues. Cloud9 It is a great IDE very useful and intuitive, what I like is that it has everything integrated and is preconfigured, has many shortcuts, and is very easy to use, also allows export files directly to the project repository or directly to my computer. Another thing that I really like is that it allows me to work in real time with other people, and it supports a lot of languages, and frameworks. I have not found anything wrong with this IDE. However, it would be good if there was a desktop version, and not only in the cloud. It is excellent for people who are entangled configuring the ide, integrating frameworks, avoid all headaches, is focused on any type of web developer who wants to develop either a web application, a static page, or a web service. It is very useful when it comes to programming since I can have an ide, even from my phone or tablet, I can access it from any device, besides this it does not consume resources since everything is executed by the amazon server, it allows me to work in my projects and have them always within reach, or within the reach of others, it is excellent to develop web applications, or web services, for group work remotely, it is quite intelligent with the autocompletion of texts and supports the most used languages ​​and frameworks currently. "The best IDE for development"
Cloud9 is a great tool of AWS what I like most about it is the ease with which it can be used, has a very comfortable infrastructure that gives you the option to customize it to your liking by choosing colors for the syntax of the code, also has some very useful tools that include the most popular programming languages ​​with which you can write your codes and then upload them to the cloud and in terms of its price we only pay for our instance in EC2. I take advantage of the tools that AWS Cloud9 gives me for the development of different software of our company since when working with this tool it is much easier to integrate the other development members once the code is in the cloud. "Cloud9 the perfect IDE. " I really like this IDE because it has the ability to provide me with the simplest and most useful tools when doing my work, since it includes tools based on the most common languages ​​and the best thing is that I can work from anywhere that has access to the internet what is really comfortable because it is not necessary to be locked in my office. This IDE complies with everything I need to work on a daily basis so I do not have anything I do not like because it is very well designed and gives me everything I need. Have basic knowledge about linux and read in detail the information provided by AWS Cloud9 and in this way you can take advantage of this tool in every way. With Cloud9 I have managed to develop small projects with great success because it is very simple to use and saves me a lot of time and costs. The best thing is AWS C9 is online, i don't need to install anything, and it support the most used languages, as C, Java, PHP, Python, etc. I can code from my mobil, tablet, pc, from anywhere, and i can share my code live with my co-work team, and we can code at the same time thats just amazing only need update the website to see the changes and run the app/website, also it help to write code faster with shortcuts, can create files, delete, change, create folder, is so powerful. One of the best thing is also how i can still using key shortcuts to save file, or save all as i do on my pc, i can upload or download complete projects and use on my desktop/laptop with one click and it is already compresed. It can be free but also, can be slow, but you can upgrade the EC2 PC to increase the performance. The only thing what i dislike is there isn't a key shortcut to run the app, is annoying to move the mouse only to click on RUN to compile the project. It can be free but also, can be slow depends of the project, but upgrading the EC2 pc it can be solved. There is a free tier, which is more than enough for small projects, use it, test it, is very powerful tool, if you feel it is slow to compile, just upgrade your EC2 PC. Use it to do remote team work, for web development, app, software. AWS C9 work perfect with others AWS tools, like AWS Commit, Lambda, you can do big projects with them. It let me to write code from anywhere, and i dont have to be always with my laptop, or need to install any other IDE, and save all the problems which can happen when installing them. Is so helpful for SCRUM projects, it let work more than one people from remote location at the same time, with the same code thats is wonderful. "Easy to use Code editor but runs with compliance issues"
I have run into compliance issues at one of the companies I worked for and I had to really work out with the IT to get this sorted. It was painful, but if you don't have any issues that should be fine. "Nice tool for editing your lambda functions"
I guess it still has a lot of ground to cover to be a real IDE. Not ready to become your go-to IDE, but it helps when having to manually edit or work on lambda functions. For our production lambda functions we use a CI/CD pipeline instead. AWS Clould9 is amazing, the best thing is, i can use all language on the same IDE without change or install anything, it runs totally online, i just need open the IDE and i can use and compile many diferents language, and it is free it has the same shortcuts as others IDE so is very easy to use. The only thing what i dislike from AWS Cloud9 is, there is not a offline version too, this is one of the best IDE. Use AWS Cloud9 along with other AWS tool, as codedeploy, pipeline, cloud watch, etc. All of them together works just perfect. Remember you can log in from any device to aws website, thats mean you can write code from any device. 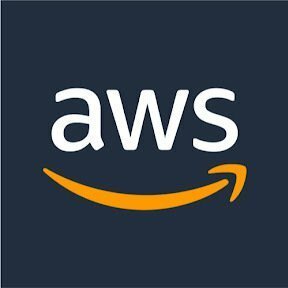 AWS Cloud9 is very useful to developt software on team, because it can be use for more than one people at the same time, so i can share the code live with my co-work, another benefit from it is i don't need to worry about install anything i just can run Could9 from any device and start write. "Cloud9 is an awesome IDE"
An all-in-one interface to easily build, test, and run apps in various frameworks. Easy to install modules, sdks, set up databases etc. Huge pluses: Integration with other AWS services & APIs, access & collaboration from anywhere, solid editor, syntax highlighting, lots of helpful built in functions. Some of the documentation can be a little confusing initially and requires some digging around, particularly topics like how Cloud 9 integrates with other AWS services, configuring IAM accounts, that sort of thing. Review the documentation thoroughly, especially command line operations. Be fluent with linux basics, bash etc., and familiar with directory structures of whatever frameworks you're using. "Great environment for developing workflows"
I like that all my shell sessions are active, so when I log in at home everything is where it was without me resorting to screen or tmux sessions. Lacks the tabular viewers available in RStudio. Lacks some basic text manipulation plugins you would find in TextMate. I would definitely try Cloud9 if you are using AWS and have to switch between editing and the shell. "AWS Cloud9 is the IDE for all AWS workloads"
I love notebooks and IDEs and while I prefer to run them on my local machine or an EC2 instance, running code on AWS Cloud9 makes it much simpler. I don't have to worry about privileges or getting the access key, just attach the necessary role and it works like a charm. Also, access data in between is fast. What I also like is AWS kills AWS Cloud9 instance if not used for 30 mins, which saves me money in case I forgot, especially on weekends. The output from the code can be seen right then and there. Although I didn't find anything wrong with AWS Cloud9, I would say I did had some issue with VPC arrangement. Also, it doesn't work with all the other services. I ran into many compliance issues and has to stop using this for a full fledged exercise. It would be better if you have working knowledge of linux and have worked with an IDE before. There is a free tier that should be used before going for a paid service so that you can be hands on the service. Unlike sagemaker, the training/ stuff happens on the instance so make sure the size is correct. "My new favorite Dev Tool"
The built in EC2 feature which allows me to open a shell from the container. I can write and run code at the same time! It is a little slow. I think once this software gets bigger then that will be resolved. There is no mobile support, but I really recommend you try it. I was hesitant but it's saved me a ton of time. I can make apps much faster and can do it from anywhere! I can save my code on my desktop then pull it up where I left off on any PC with a web browser. It's quite suited for writing server side code. Love sharing my workspaces with others and the auto-complete is very intuitive. The shared terminal windows are a bit buggy at times, and I wish it had a way to "publish" something to a remote server, without the need for fancy scripts. Great for small development teams, or even the solo programmer. The interface is easy to use and is extremely intuitive. Colleagues and I no longer overwrite each others files by mistake! I also like not having to maintain multiple servers/services. "Giving me errors that are not there"
It's everything I need and can host an entire website off it. It gives you errors even though there are none at all, (I reviewed my code more than once and I still get an error), there are way too many tabs and buttons without clear instruction to what they do or how to get back to where you just were. You can build an entire website off it given that you have the right knowledge and tools. AWS Cloud 9 makes it very easy for collaborative work and to easily work on projects together with your team members. Speed and memory can lag at times. The user interface is not amazing for handling these kind of issues. Once we ran out of memory space and we were unable to easily calibrate cloud 9 for our requirements. "Write, run, and debug codes using only a web browser"
Writing, running, and debugging code, all from your web browser. You don’t have to tinker with installing various compilers and toolchains. allowing you to quickly switch between local and remote testing or debugging. Provides great onlinr IDE platform without requiring to go through the process of installation and set up. AWS integration of Cloud9 is a bit messy compared to old one. I use Cloud9 in my class for course projects. Very easy to use and fast. Magical to do Google-Docs style collaboration inside an IDE. Setup requires technical know-how, but you probably have that anyway if you're considering this. We've used Cloud9 for years, mostly for onboarding new remote developers. It saves having to ship them expensive hardware before they've visited our HQ, and allows more experienced developers to coach and review their code before they even commit it. "Great for small hobby projects or learning"
No need to set up a dev machine each time you want to try a new technology, so you can keep your personal and work computers clean. Not really as good as having a local development environment. Knowing how to set up an environment is important. Good for education, delays the need to set up a local development environment, so students can focus on whatever they are learning. "Good but could be better." I like the chat that is available and the live code editing that is allowed in the workspaces. I also like that you can share your workspace to others. I dislike the difficulty to include programs such as Angular, and I also don’t like the databases on there. It allows for team collaboration and live changes that can easily be saved. Solid company, good infrastructure, easy to deal with. All cloud solution limits the way it is implemented. * We monitor all AWS Cloud9 reviews to prevent fraudulent reviews and keep review quality high. We do not post reviews by company employees or direct competitors. Validated reviews require the user to submit a screenshot of the product containing their user ID, in order to verify a user is an actual user of the product. Hi there! Are you looking to implement a solution like AWS Cloud9?